Good news for businesses that are using Facebook as their social marketing resource. The company will soon be introducing two new ways for businesses to connect with customers through messaging and groups. Businesses can now receive and respond to the messages of the customer using the same service. Instagram direct messages can be received in Facebook page inbox. So Instagram DMs can be responded using Facebook. This will enable businesses to respond faster to the customer’s messages as well as they never miss them. The Instagram internal data reveals that 150 million people have a conversation with a business every month. The recent quarterly report of Facebook states that 10 billion messages are exchanged between people and businesses every month on FB Messenger. This feature will come up over the next few weeks to businesses located in the US and Brazil. 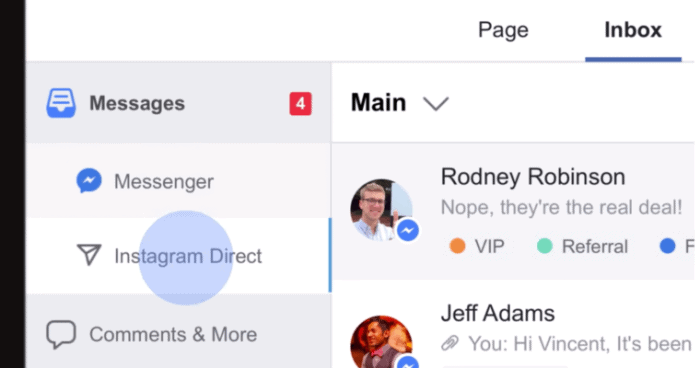 Facebook pages will communicate with customers in the group discussion in the next few weeks. As of now, pages can make groups but they can’t post content in the group being the page itself. Undoubtedly, representatives from a Facebook page can get in groups, but with their personal accounts. This feature will only be available for business pages, not for personal accounts. This change is also introducing in the coming weeks.